Please see the Members Area for some exciting news. any one got track insurance if so who from? Yep, ‘Moris’ are covering me. If you intend on doing more than one track day try Aplan. Stephen is it a club dress code event? All the Alpine guys will be in their branded gear so if you have Alpine and/or club clothing would be good to wear it. I’ll likely have an Alpine polo or T with Apine windbreaker. Lunchtime grid photos and parade lap confirmed courtesy Marco from Alpine UK!! I hope you all have a very good day and I wished I was there. Hey Stephen, thanks for getting us the invite to this event, we had a great day. Big thank you to Stephen for sorting this and Alpine. It was a nice start to car events for me this year and got me away from packing for moving house. Great day, with fabulous weather. And a good excuse for me to have the Venturi out. I even met Benny from Belgium who thinks he worked on my car a decade or so back. Apparently he has 5 full new bi-turbo engines, as he bought the final stock when the factory closed. Thanks to Martins Alpine of Winchester for my invite. 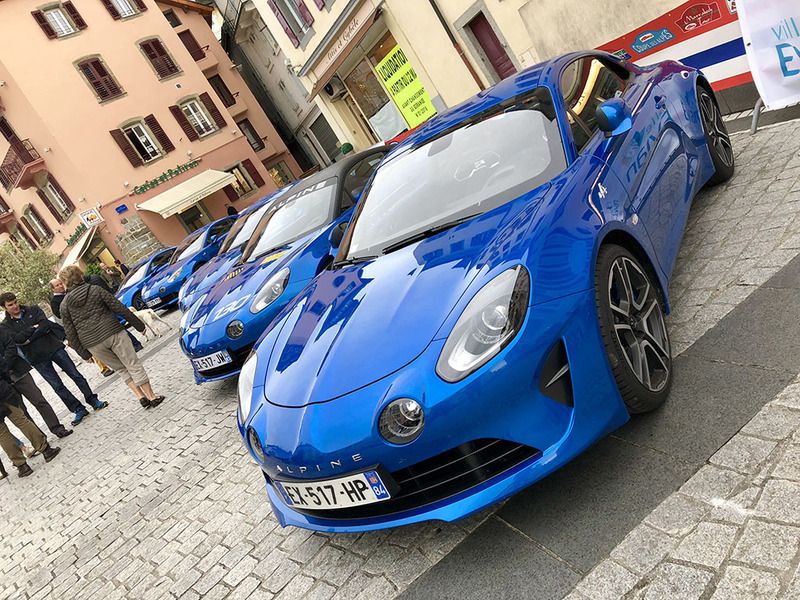 The new A110 is such a lovely thing and if I were to part with the Atlantique, this would be a serious contender as it’s replacement.